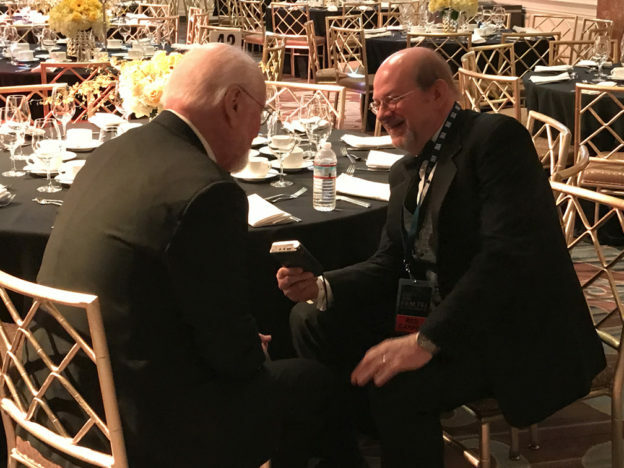 I was honored to be asked to pen the program notes for the Los Angeles Philharmonic’s four-day series of concerts paying tribute to the great John Williams. 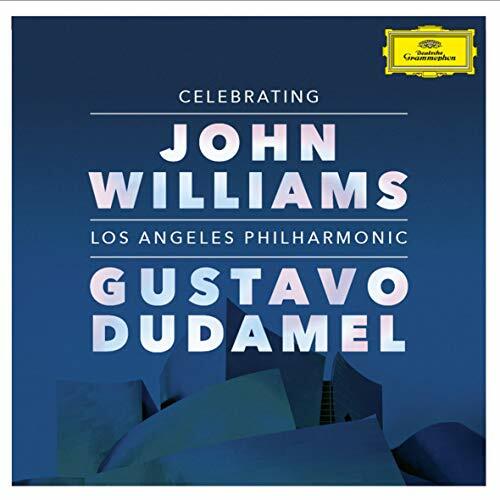 Gustavo Dudamel conducted a thrilling greatest-hits collection of music that included four of his Oscar winners (Jaws, Star Wars, E.T., Schindler’s List), popular movie hits (Close Encounters, Raiders, Jurassic Park, Harry Potter) and more. I’m also delighted to be able to announce that I have written the liner notes for Deutsche Grammophon’s upcoming 2-CD recording of those concerts. 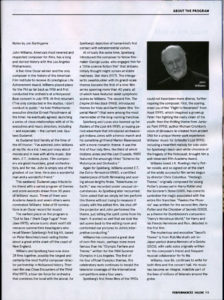 Click on the image at left to read the L.A. Phil program notes. This entry was posted in Composers, Film Music and tagged Deutsche Grammophon, Gustavo Dudamel conducts John Williams, John Williams, LA Phil film music, LA Phil program notes, Los Angeles Philharmonic on January 27, 2019 by Jon Burlingame. 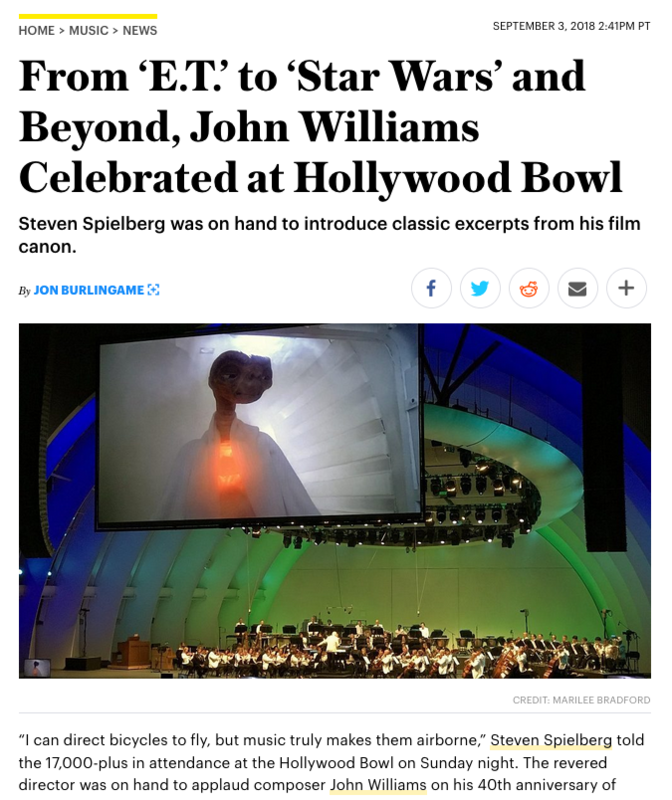 This weekend John Williams, the most famous composer in Hollywood history, celebrated his 40th anniversary conducting at the Hollywood Bowl. His very first concert leading the Los Angeles Philharmonic at the Bowl was on July 28, 1978, subbing for an ailing Arthur Fiedler, who had been scheduled to conduct a pair of “Pops at the Bowl” concerts that weekend. 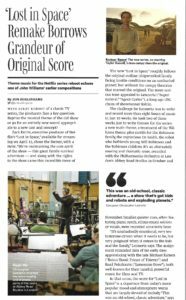 Since then, the much-honored dean of American film composers has returned to the Bowl on dozens of occasions, conducting not only his own music but that of other composers, most of whom were active in Hollywood at one time or another. 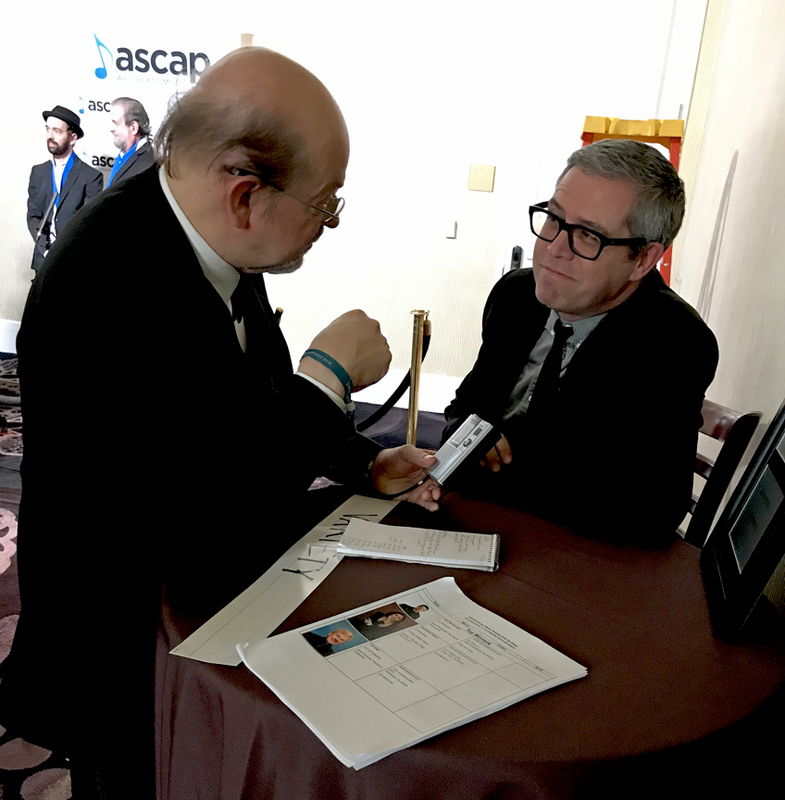 The program included not only Williams compositions but also those of a friend and mentor, Leonard Bernstein (whose centennial is also being celebrated this year). 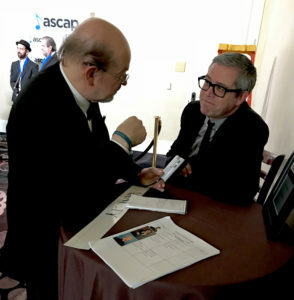 Steven Spielberg served as host; David Newman conducted the first half. Here is my review for Variety. 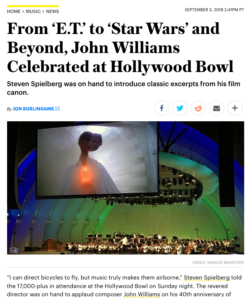 This entry was posted in Composers, Film Music and tagged David Newman, Hollywood Bowl, John Williams, Leonard Bernstein centennial, Los Angeles Philharmonic, Steven Spielberg, Variety on September 3, 2018 by Jon Burlingame. 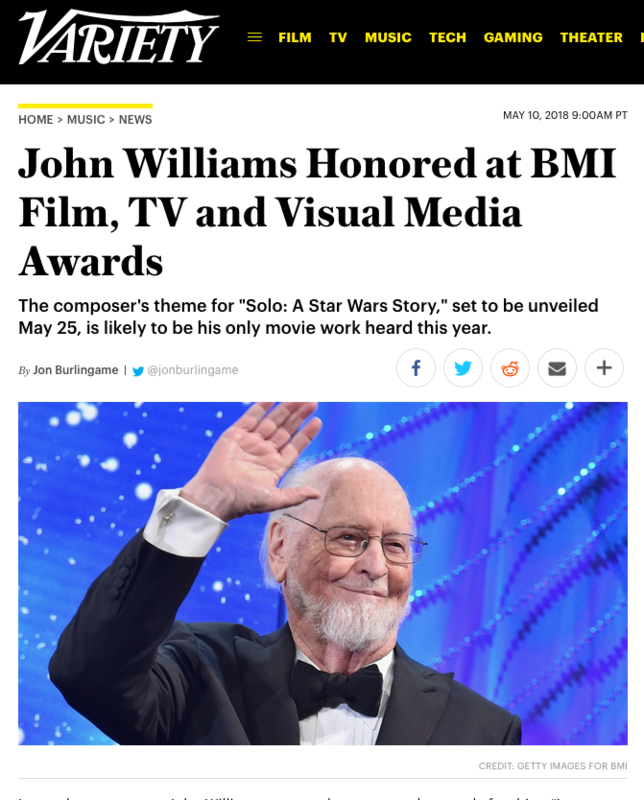 Composer John Powell, the much-respected Oscar nominee for How to Train Your Dragon (and such other delightful animated scores as Happy Feet, Rio and Ferdinand), reviewed the entire Solo: A Star Wars Story experience with me for this Variety story, which ran the day before the film opened. 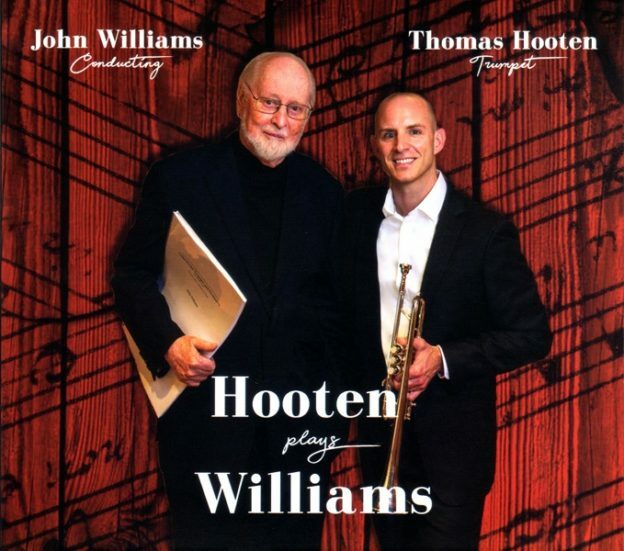 It’s a fascinating odyssey that involves collaboration with John Williams (who penned “The Adventures of Han” theme used throughout Powell’s score), the creation of several new themes, and an unusual trip to Bulgaria to record a women’s choir for the score. This entry was posted in Composers, Film Music, Interviews and tagged John Powell, John Williams, Solo: A Star Wars Story, Star Wars music, The Adventures of Han, Variety on May 24, 2018 by Jon Burlingame. Christopher Lennertz, veteran composer of Supernatural, Revolution and other series, has pulled off his greatest TV assignment to date: the Netflix reboot of the 1960s classic Lost in Space. 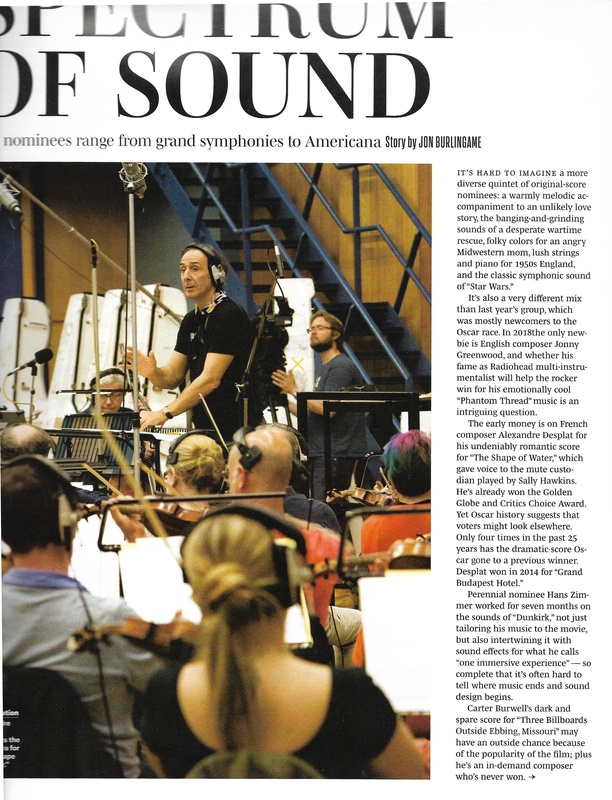 He not only recorded with an orchestra in London’s Abbey Road studio, he incorporated John Williams’ original TV theme (actually, Williams’ second theme for the series, used in its 1967-68 season) as well. This Variety story explains how he went about writing eight hours of music in 10 weeks. 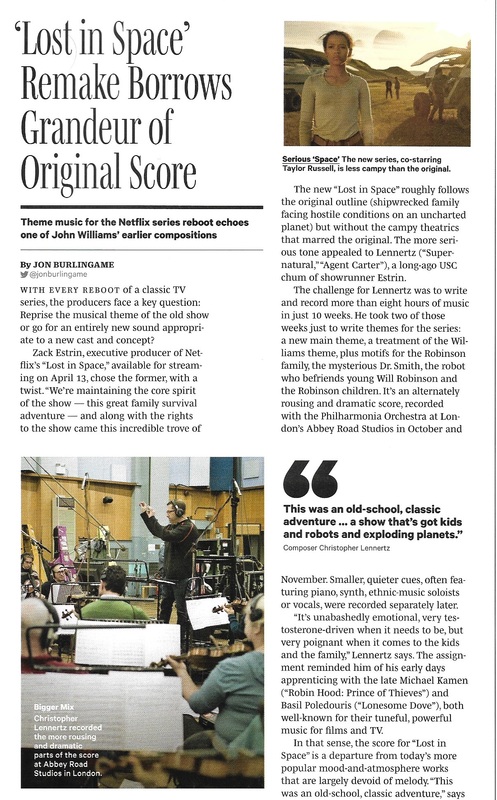 This entry was posted in Composers, Interviews, Television Music and tagged Christopher Lennertz, John Williams, Lost in Space, Netflix reboot, Variety on April 10, 2018 by Jon Burlingame. 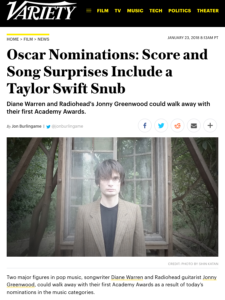 Every year Variety asks me to analyze the music races for the Academy Awards — not really handicapping them, as that entails choosing favorites, which I don’t like to do. 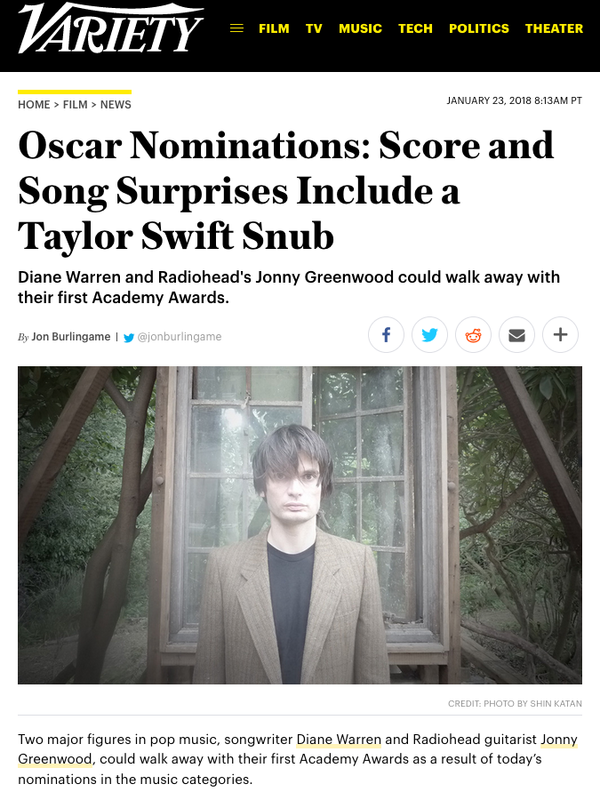 But examining the five nominees, quoting the composers, hinting at what’s important about each, and subtly suggesting what Academy voters might be thinking. 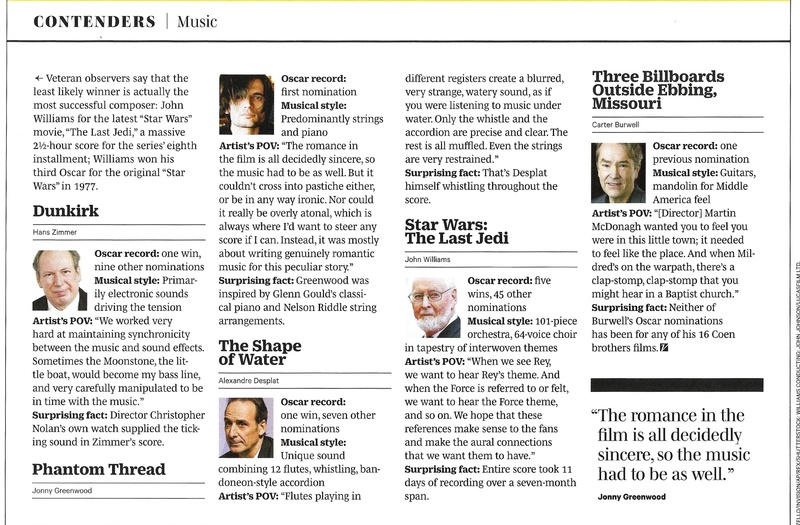 Alexandre Desplat’s The Shape of Water is the current favorite, but I think you cannot count out Jonny Greenwood’s Phantom Thread or Carter Burwell’s Three Billboards Outside Ebbing, Missouri. 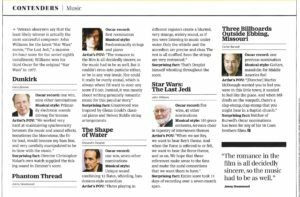 Hans Zimmer’s Dunkirk and John Williams’ Star Wars: The Last Jedi are admittedly outsiders at this point… but the Oscars love to surprise us. This story appeared only in print, so please click on the images to read it here. 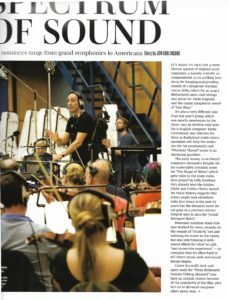 This entry was posted in Composers, Film Music, Interviews and tagged Alexandre Desplat, Carter Burwell, Hans Zimmer, John Williams, Jonny Greenwood, Oscar music, Oscar music 2017, Oscars 2018, Phantom Thread music, The Shape of Water score, Variety on February 15, 2018 by Jon Burlingame.